Welcome to the Mid Lincolnshire Methodist Circuit. 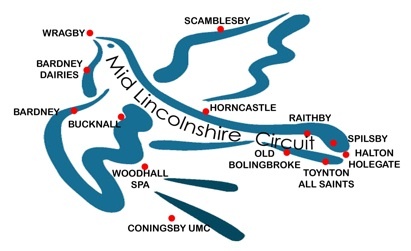 This circuit was formed in 2004 with the coming together of the Horncastle & Bardney and Coningsby circuits and enlarged in 2008 when we joined with the Spilsby circuit. Before our inauguration in 2004, we spent a great deal of time debating what we should be called before deciding on a name which is a simple description of who and where we are. We are a circuit of Methodist chapels to be found in Mid-Lincolnshire. In and through these chapels we endeavour to maintain and to offer to our local community faithful Christian worship and witness. Tumult and noise may still be missing from the pages of this website and the chapels of this circuit. Earnest attention to the word of God is still to be found here. With the quiet of Scamblesby, reshaping itself as a centre for contemplation in the beautiful Lincolnshire Wolds, and the bustling market place church at Spilsby with its busy coffee morning every Monday, with the new church at the heart of the community in Coningsby, and the chapel that Robert Carr Brackenbury built for Mr Wesley at Raithby, with our ecumenical work with children at Bardney and our Westerley LWPT home in Woodhall Spa, we invite all who will join us to share in a range of services and activities. We are people of God who seek to encourage spiritual growth and social well-being, so that we can work with others to bring true worth to the lives of people in our communities.